Introduced in Spring 2018, LG’s lineup of SK8000PUA 4K smart TV series features AI ThinQ technology, which allows you to ask Google Assistant questions, giving you a visual hub for the smart home and beyond. The SK8000PUA series come in 49″ (49SK8000PUA), 55″ (55SK8000PUA), and 65″ (65SK8000PUA), priced at $899.99, $1,099,99 and $1,299.99 respectively. Style-wise, you can’t get any better than the brushed metal look. It’s thin and it’s ultra-modern. So how is the picture quality? It’s crystal clear and truly spectacular! The Nano Cell Display delivers rich color details with wide color spectrum. Comparing to the more expensive OLED screeens, the only issue is contrast ratio and poor local dimming features, which means a white glow around light spots on a totally black screen. True Color Accuracy technology leads accurate colors. 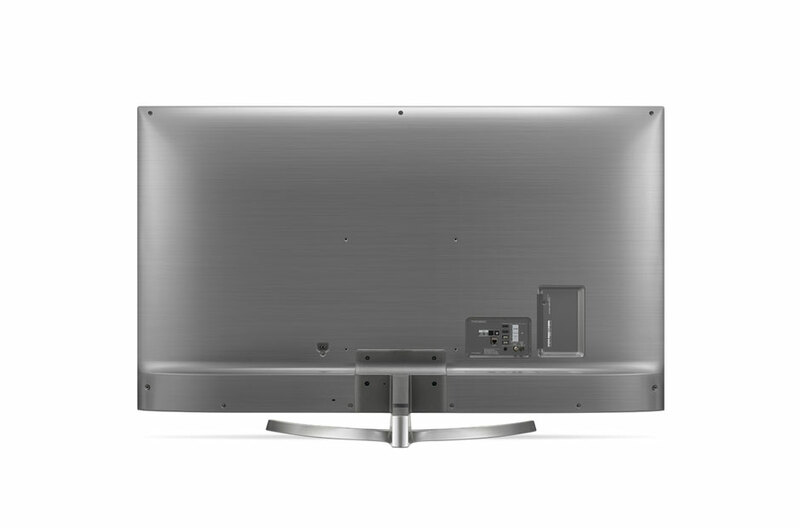 Combine that with IPS technology, you get good viewing angles, accurate colors and brightness to fight reflections in the screen. TruMotion 240 gives you native 120Hz refresh rate, which delivers fluid motion images for your favorite action movies, sports or games. Unless you need a totally dark droom smart TV, you will be very happy with the picture quality. What’s unique about LG’s latest smart TV offering is its AI ThinQ technology. 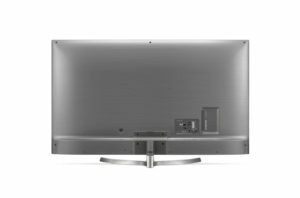 LG’s television sets run on WebOS. Yes, the same WebOS framework that PALM made popular. This combined with the new interface makes it a clever way to operate a TV. You can even replace the remote with all voice commands if you want. The learning curve is small and fairly intuitive. The Magic Remote’s (that’s what LG likes to call it) voice assistant gets a little help from Google Assistant. By holding down the microphone button and talking to the remote, you can turn the TV on and off, adjust volume, brightness, change channels, viewing mode, start apps, turn on and off lights, and more. Want to check the weather, look up game scores, or find driving directions? Just talk into the remote, then you’ll see the results of your searches overlayed on top of your TV program courtesy of Google Assistant. How cool is that? Have a voice assistant device at home? You can control your LG TV with Alexa or Google Home. To set up Amazon Echo integration, you need to create a LG account and then link it to your Amazon LG SmartThinQ – Basic skill. To set up Google Home integration, again, set up the LG account on the TV and then add it on your Google Home app. In our real world testing, while basic commands work, like turning TV off, change to an OTA channel, changing the volume and input, we were not able to launch a specific app or speaker output. It shows that the integration still needs work and is not ready for prime time yet. 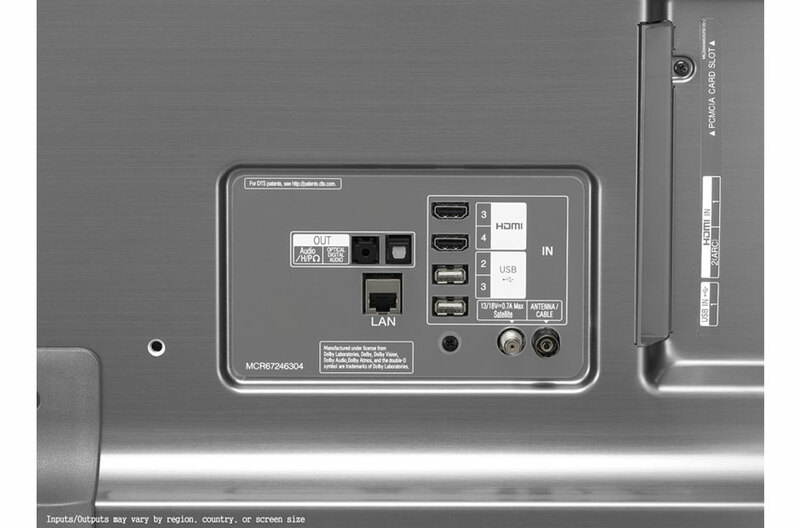 Another dilemma is that if you’re running the audio through your home theater receiver, you won’t be able to use your voice to change the volume because you can’t control volume through optical and HDMI ARC connections. 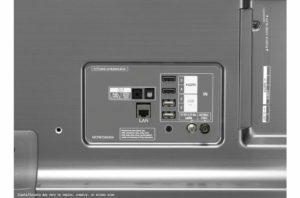 What if you’re running the video connections through your receiver as well. That’ll render the voice input switching useless as well. So while some of the voice control feature is nice, it remains to be seen if it’s practical or useful depending on what your system setup is. The webOS app store offers all the popular streaming channels, like Sling TV, Amazon Video, Hulu, Netflix, Vudu and more. While it’s not as extensive as Roku’s app store, it has enough. 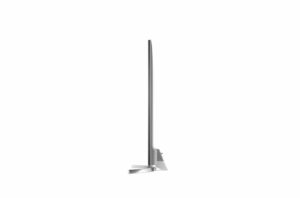 If you’re a cord cutter, then you likely have an antenna connected to your TV. After you have have scanned your local HD channels, you can edit your channels list and then add them to your favorites. Using voice control, if you want to watch say ABC, then just say “Watch ABC”, the TV will automatically change the input and tune to the right channel for you. 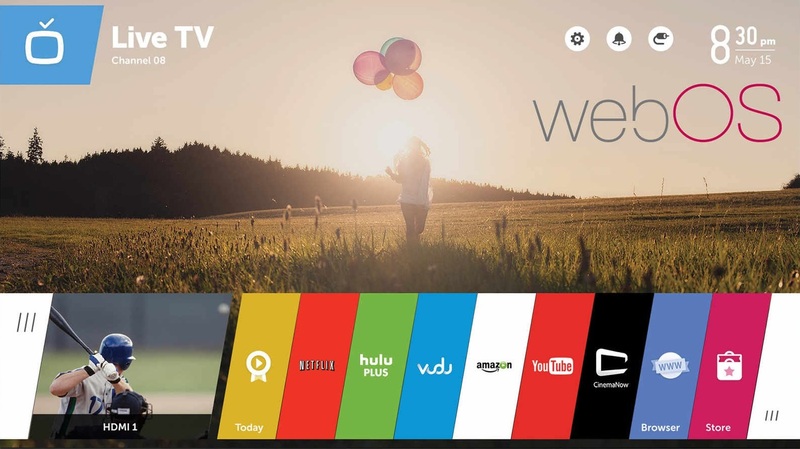 LG also offers a menu of live and on-demand content called Channel Plus. It will feature free and ad-supported digital content from partners such as Time, PBS Digital Studios, Wired, Saveur, Cooking Light, GQ and Sports Illustrated, along with channels from BuzzFeed, Mashable, Reuters, FailArmy and Funny or Die. The app service looks like traditional TV channels so you can surf them without having to launch each one like a separate app. 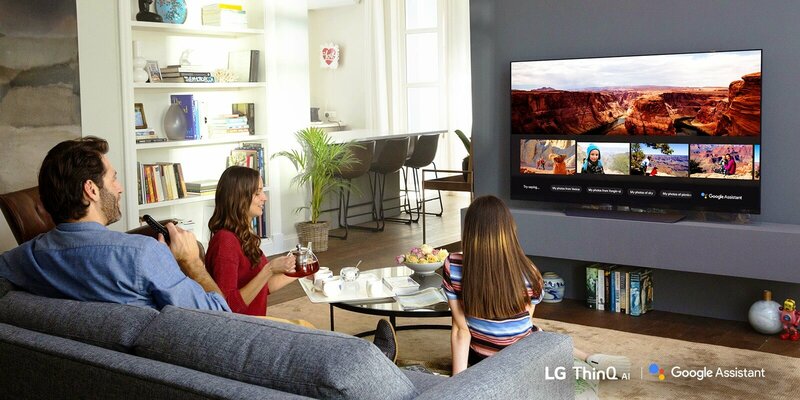 Most LG smart TVs support DLNA, allowing you to watch videos and view pictures on your own network. The SKU8000 series is no exception. You can easily view media files and watch movies from your own DLNA server. Sometimes WebOS locks up and needs a reboot. This also causes the remote to not function properly. We’ve noticed that that you can still turn the TV on and off, but Netlfix will freeze or other buttons on the remote doesn’t respond. To restart the TV, you can’t just press the on/off button on the remote to turn it off as that puts the TV in standby mode. Find the on/off button on the TV, then hold it for 3 seconds until it turns off. When you turn the TV on again, you should see the LG WebOS logo which means the TV has rebooted. Also remember to update your apps if they’re freezing or not working properly, but usually a reboot should resolve the issue. While this reboot fixes the remote and WebOS freezing issues, it’s a bit annoying that this happens every couple of months. The system should be more stable than this. 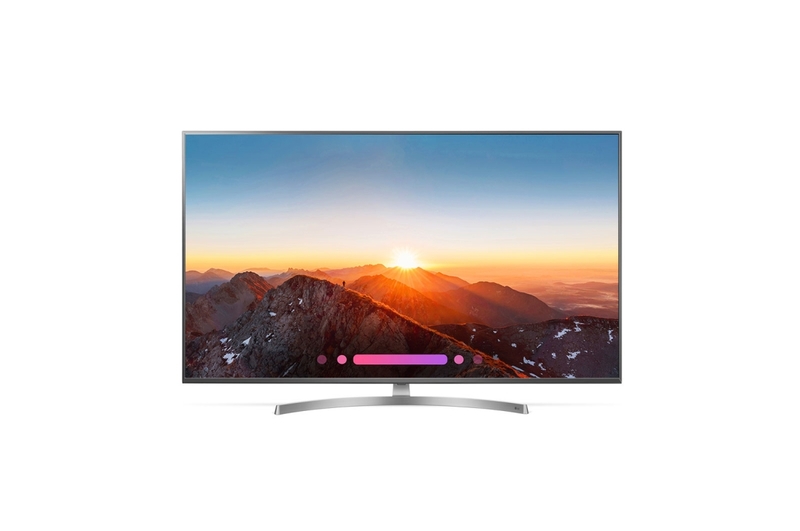 Enhances 4K HDR content for a truly cinematic experience with superior depth, sharpness, and remarkably accurate color. Nano Cell Display delivers truer colors, reduced reflectivity and deeper black levels, even at a wider viewing angle. Improves color accuracy with its expanded color gamut while absorbing unwanted light. Two 10W speakers, Dolby Atmos. Dolby Atmos content creates a more detailed sound experience that appears to come from everywhere for a wonderfully realistic, immersive experience that puts you inside the story.